This is a sponsored post written by me on behalf of Member's Mark. All opinions are 100% mine. Spending a small fortune on infant formula for your baby? These smart tips will help you save hundreds of dollars a year on baby formula. While breastfeeding is no doubt the most cost-friendly option for feeding your infant, breastfeeding isn't always an option. Whether you are exclusively bottle-feeding, or supplementing with formula, one thing is for certain. Buying formula sure does add up! With our little guy drinking between five and six 6 oz bottles per day, we go through a whole lot of formula. So, how can you save money on formula? 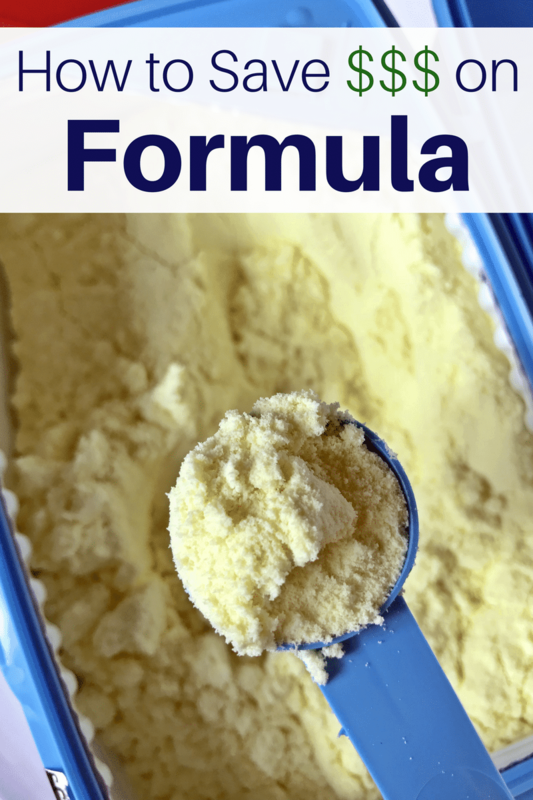 I have found some great ways to save money on infant formula, and I want to share them with you today in hopes that they help other moms save some cash as well! Infant formula comes in three different forms: ready-to-use, liquid concentrated, and powdered. While ready-to-use formula is the most convenient, it is also the most expensive. Powdered formula is the least expensive choice, and what I choose to feed my little man. Mixing bottles is easy enough, and really doesn't take too much time. 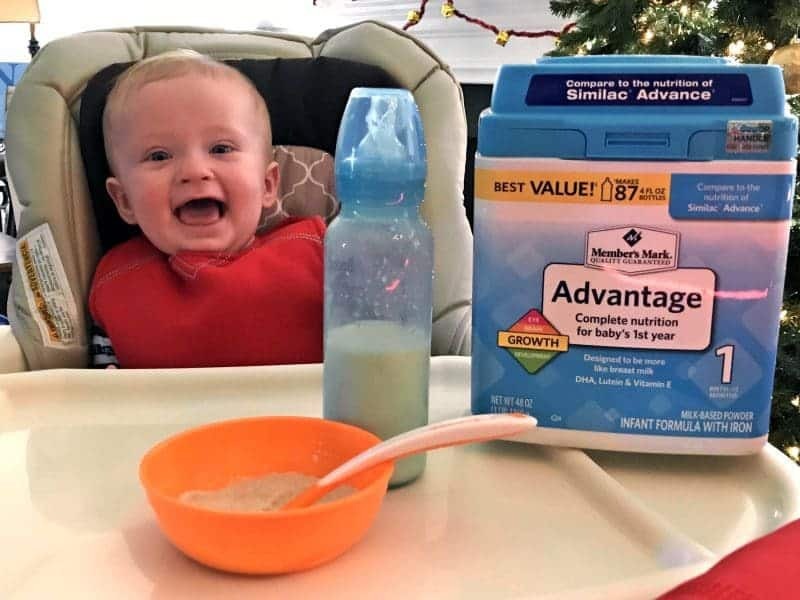 Unless your little guy has special formula needs, go for the powdered formula. It is by far the most economic choice when it comes to infant formula. Begin to save coupons for formula (and diapers too while you are at it!) while you are pregnant. Sign up for formula brand's mailing lists and save the coupons and instant rebate checks that they will send you in the mail. You will be happy to have this stash of coupons ready when baby arrives. Ask your pediatrician's office for samples at each visit. Reps from formula manufacturers often give samples to pediatrician offices so that the nurses can give them out to clients. That is literally what the samples are there for, so no need to feel shy about asking! The worst they can say is that they don't have any samples at the moment. When I first realized that I would be formula-feeding, I took the time to compare the prices of formula at all the local stores in my area, as well as online. I broke the prices down to cost per ounce. I found that Sam's Club had the best prices on infant formula. 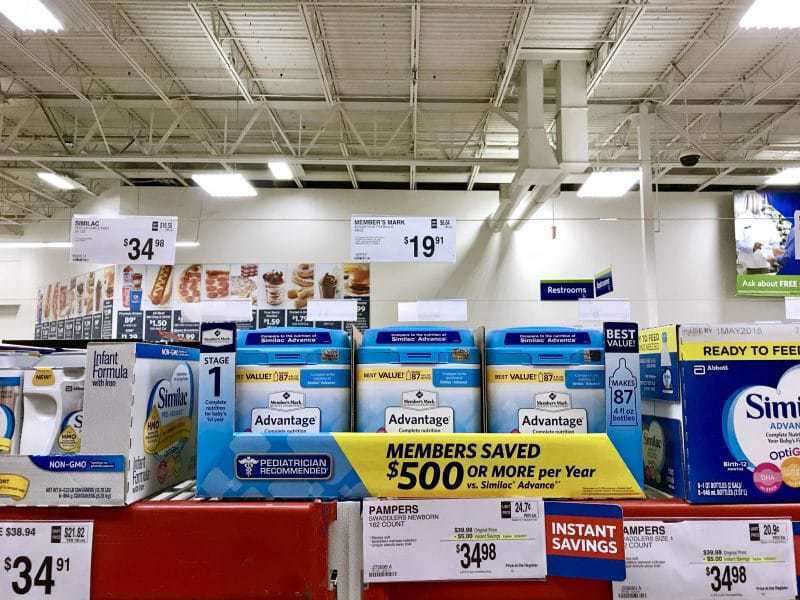 I wasn't very surprised to discover that Sam's Club was the best place to buy baby formula, since buying in bulk at Sam's Club usually is the best deal no matter what I am buying. This tip alone can save you $450 per year! While I was picking up formula at Sam's Club I caught a glimpse of the price difference between brand-name formula and Member's Mark Infant Formula. Member's Mark Infant Formula costs far less than brand-name formula, and comes in a larger tub. 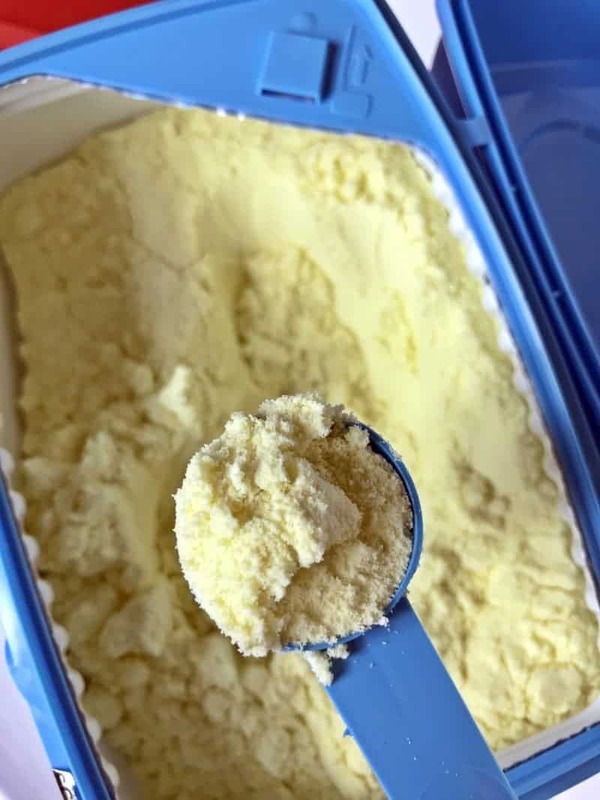 A gigantic 48 oz tub of Member's Mark Infant Formula sells for under $25. At first I was hesitant to make the switch. I wondered what the difference was between brand-name formula and a generic formula like Member's Mark. It turns out that the biggest difference between brand-name and Member's Mark formula is the price. Member's Mark Infant Formula is NON-GMO and provides babies with complete nutrition. In fact, Member's Mark Infant Formula provides babies with the same nutrients as Similac and Enfamil. 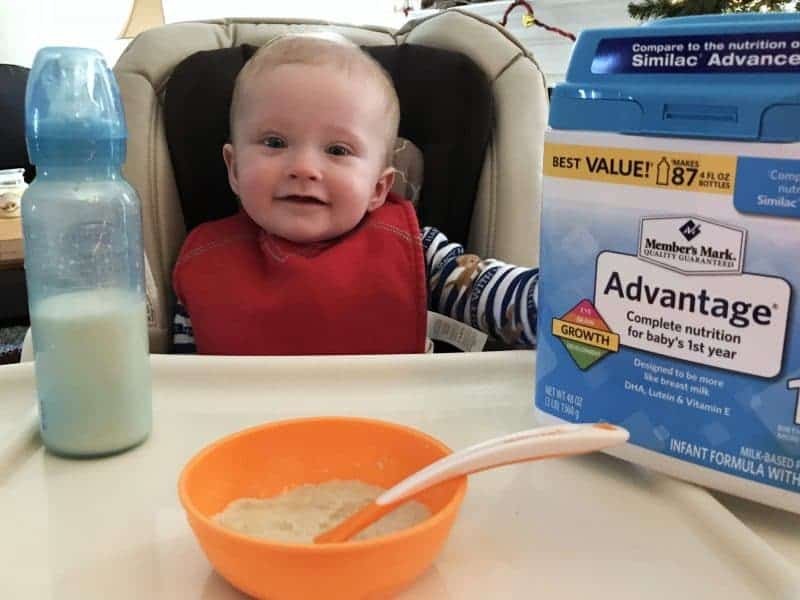 And with a 48 oz tub of Member's Mark Infant Formula costing under $25, making the switch to Member's Mark Infant Formula can save families up to $450 year! We found that the Advantage formula of Member's Mark was the equivalent to the brand-name formula we had been using. My little guy approves, and didn't even seem to notice a difference between Member's Mark and brand-name. He guzzled his cereal and bottle down as quick and happily as always. Member's Mark Infant Formula comes in infant, sensitive, and gentle formulas as well. All formulas are NON-GMO and available for under $25 a tub at Sam's Club. I highly suggest that you too consider making the switch over to Member's Mark formula, available at Sam’s Club. 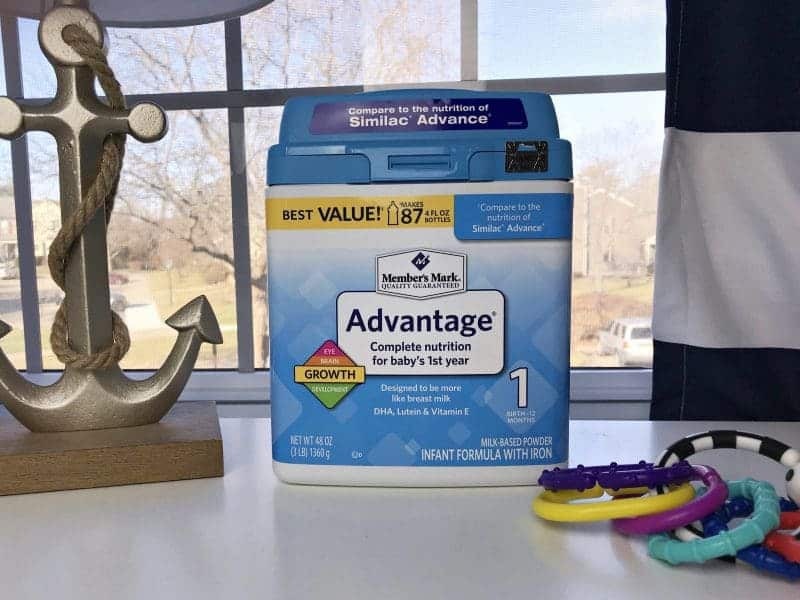 Why pay almost double when you can get the same nutrition with Member's Mark Infant formula? Why not make the switch and put that extra money toward baby's college fund instead?! Purchase your infant formula using a credit card or store card that offers cash back on your purchases. These rewards tend to add up slowly, but every little bit counts, right? Plus, you can use the money you earn towards buying more formula. I hope that these tips help you to save money on formula. If you have any tips that I didn't think of please let us know in the comments below! We went through so much formula with my twin boys – saving money was critical to survival. Great tips. Oh how I remember those days. We were young, not too experienced and our budget was low. These are great tips for every parent. These are great tips! Babies can go through a lot of formula so it’s important to save money as much as possible. Gosh I remember the cost of baby formula, it’s so expensive for sure. Glad that you shared these tips to save money on baby formula, they will surely help so many parents struggling with that high cost! Baby formula is so expensive now, good tips to save lots.